What does XL style mean, anyway? We'll tell ya! Roland took their already rockin' little Bass CUBE amp line up and gave it the XL treatment. That means more models, more effects, more features, and (oh yeah) more juice to boost your bass! 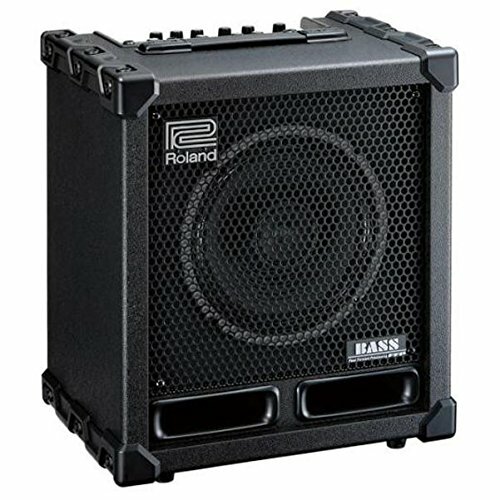 Check out the Roland CUBE-60XL BASS combo amp. This beauty packs all the top CUBE XL features into an amp that's still totally portable and affordable. With the flip of a dial, you can switch between eight different amp models - everything from a classic B MAN tone to the stage-smashing SUPER LOW. Effects? This baby's got 'em! Seven totally studio-ready effects give you verb, chorus, poly octave goodness and more.